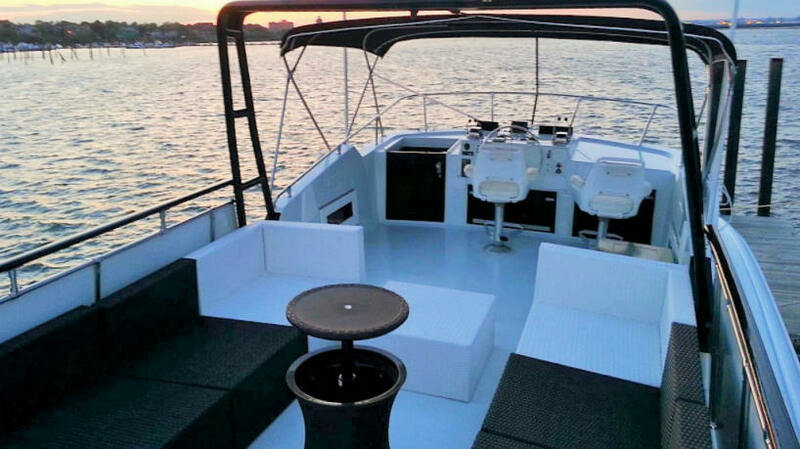 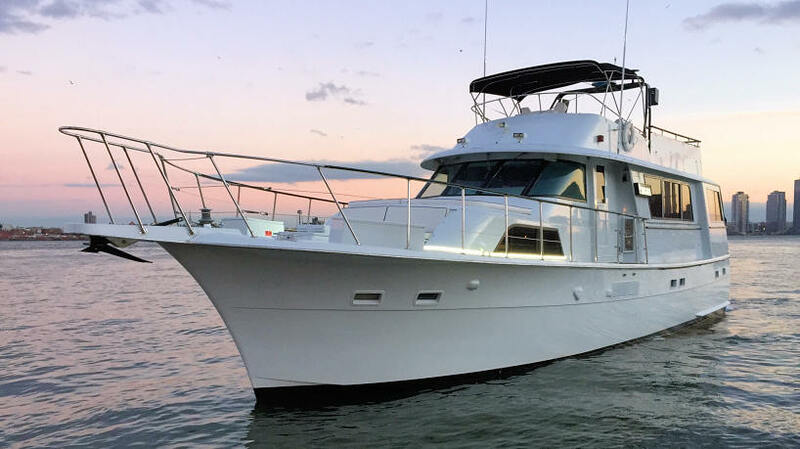 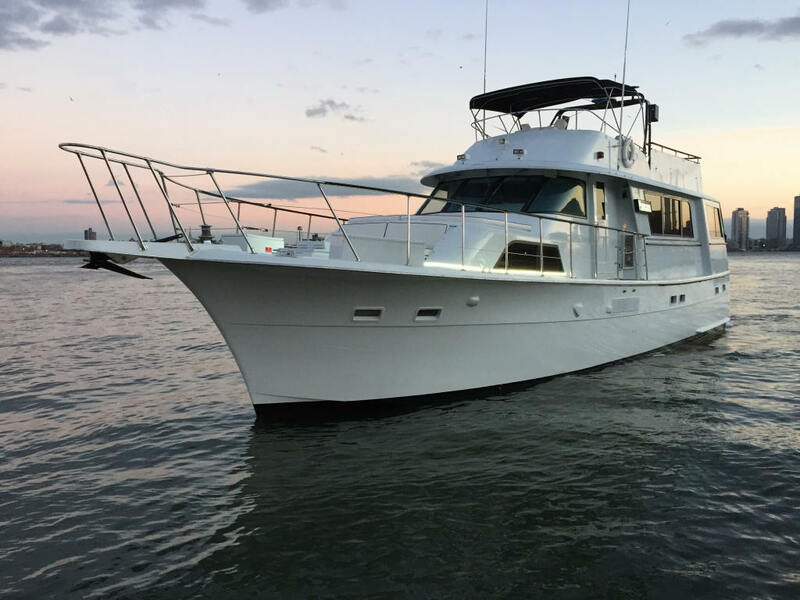 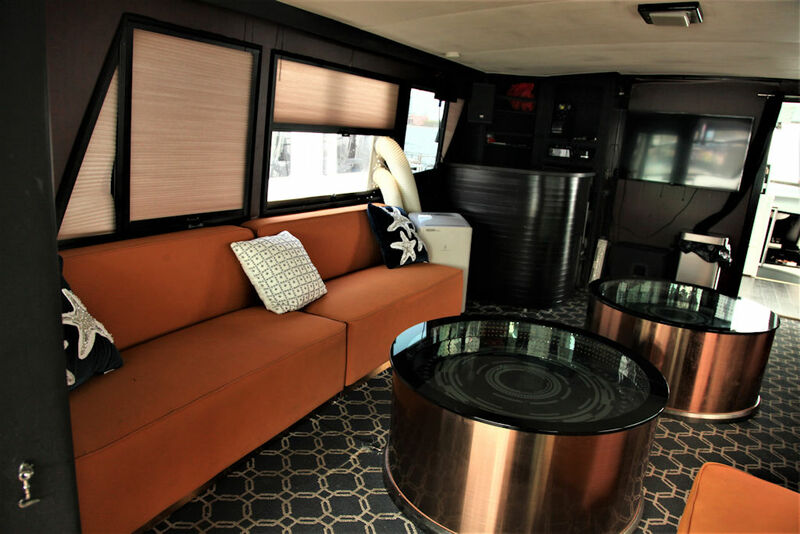 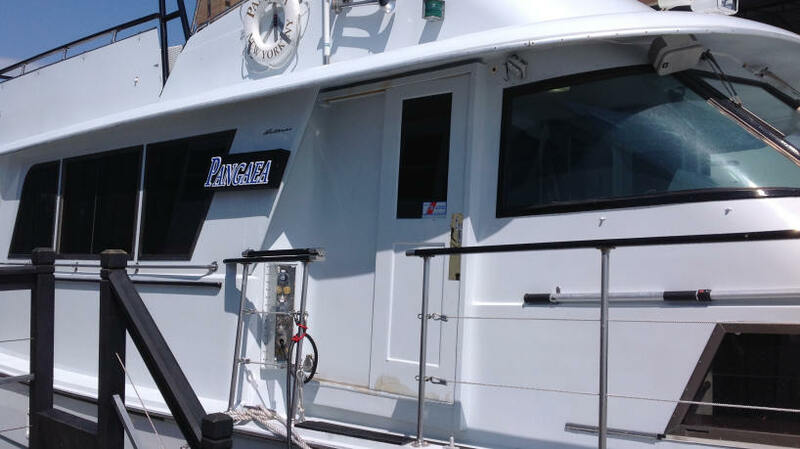 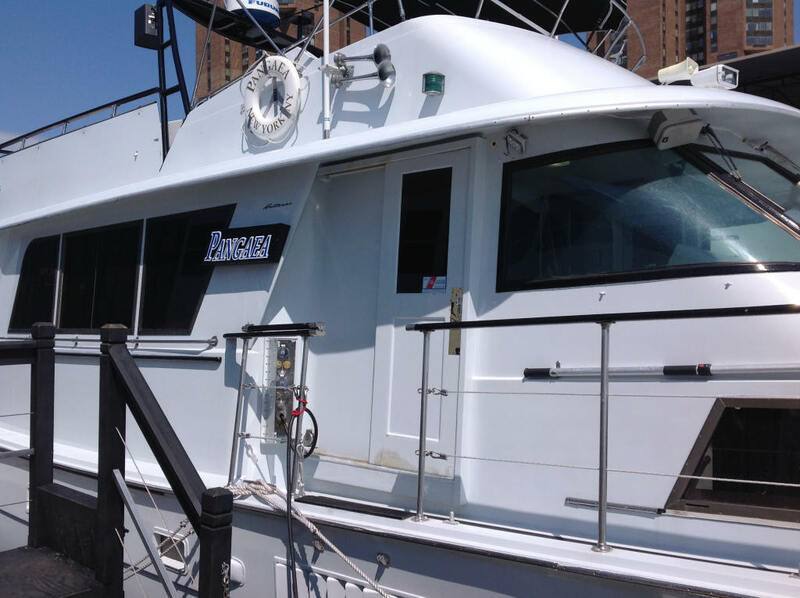 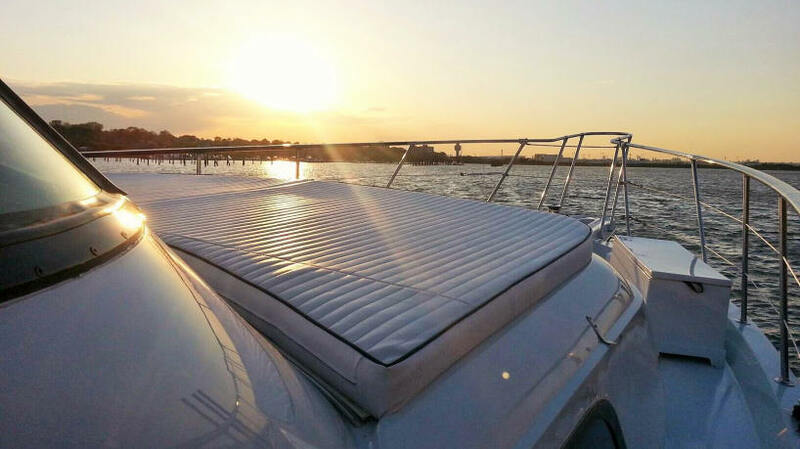 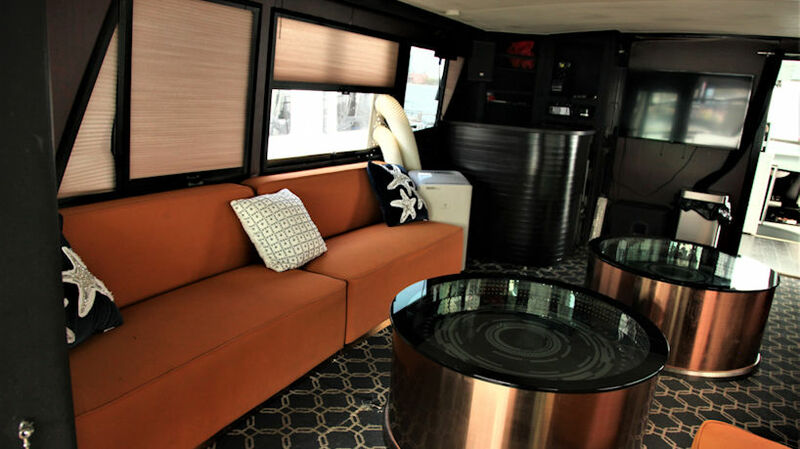 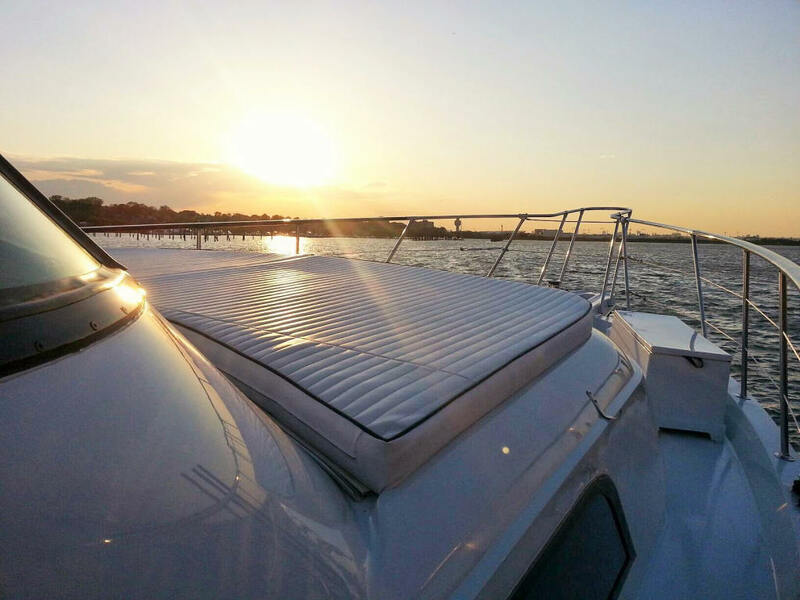 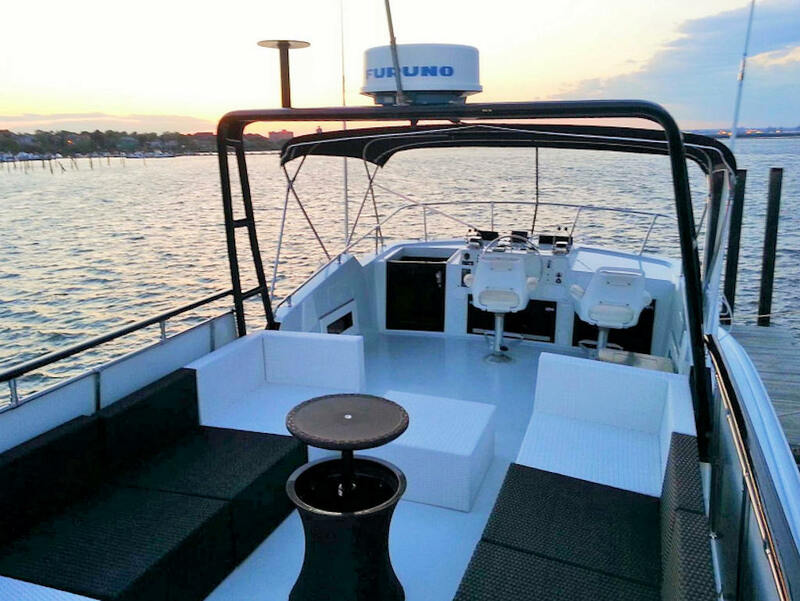 Pangea, a 58-foot Hatteras Motor Yacht, provides the ultimate intimate boating experience for an NYC dinner cruise or private party yacht charter. 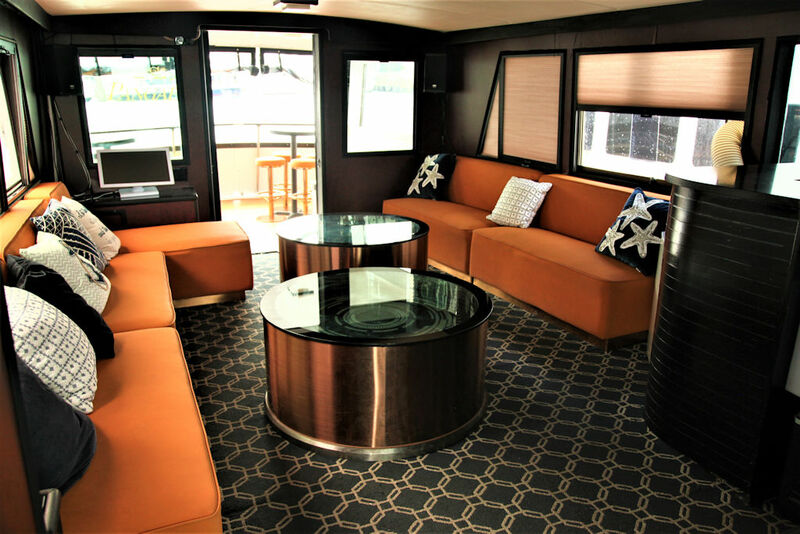 Pangea can accommodate up to 20 guests. 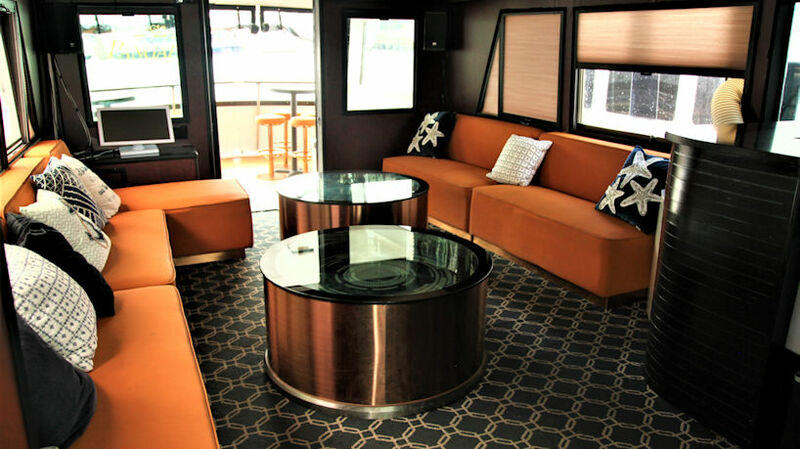 Updated in 2015 with a contemporary style and flair.